Sri balaji dental college Velachery with its hospital complex is situated at Pallikaranai, a beautiful suburban landscape on the Velechery Main road, Chennai, easily accessible by road either from Saidapet or Tambaram.. It has since emerged as a center of Dental care attracting multitudes of patients every day. It offers both undergraduate and post-graduate courses of all specialities. Admissions for 2016 are open now.Its time to book your seat now ! 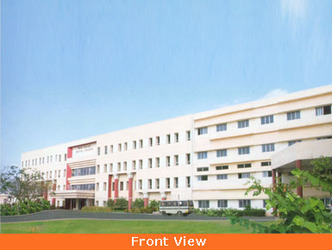 The Institution offers BDS & MDS programs recognized by the Dental Council of India. Sree Balaji Dental College & Hospital teaching hospital attached to the Institution provides all levels of holistic health care including major super-specialty services and provides excellent training opportunities to the students of the Academy. Sree Balaji Dental College Bds Eligibility : Candidates who have passed HSC examination (Academic Stream of 10 +2 curriculum) of any State/CBSE/ISC or any other examination recognized as equivalent thereto, with the group of subjects specified below and obtained the minimum eligible marks prescribed are eligible to apply for admission to the course concerned. DCI Norms: Candidates should have obtained a minimum of 50% of marks (in case of SC/ST/OBC 40%) taking together Physics, Chemistry & Biology and pass in English in the qualifying examination. Age Limit: Candidates should have completed 17 years of age as on 31st December of the academic year. Date of birth given in the HSC/CBSE/ISC marks sheet or in the Birth Certificate/ Passport shall be taken for computing age of the candidate. The minimum qualification for admission to the postgraduate program is a BDS degree or an equivalent degree recognized by the University and DCI.